The following is a post from Fancy Dan, one of our creative and talented in-house designers. Dan uses Storyboard Suite on a daily basis to create awesome user experiences for embedded applications. I asked him to share the top 5 features that make his job easier and his designs awesome. 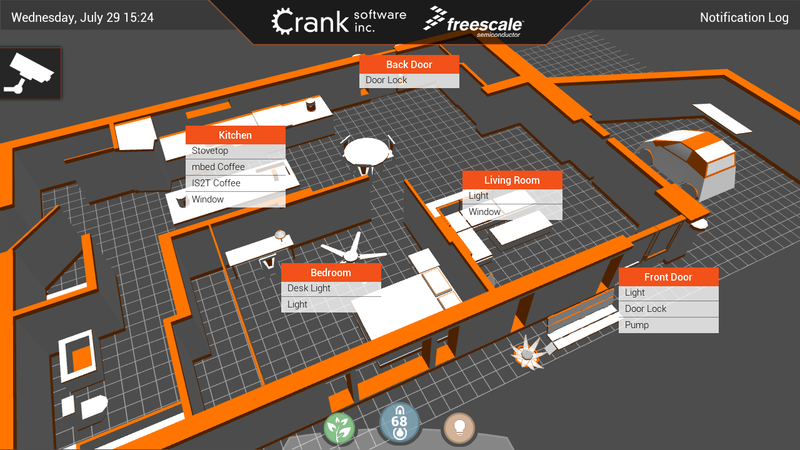 This past Spring Crank Software participated in a project with Freescale (and other fine Freescale partners) to deliver the ultimate connected home experience at Freescale Technology Forum (FTF) 2015. TU-Automotive Detroit is just around the corner, June 3-4 in Novi, Michigan, so we are getting the Storyboard Suite demos ready to hit the road. This is a great automotive show to check out the latest in connected car technology, autonomous driving, safety & security, mobility, and more!